There was one bird sitting right on top of the tower this morning. I've never seen one sitting up there before. There was just one bird showing this morning, probably the male (CR?) judging by its size. However, there are signs of activity at Christchurch Cheltenham with the gravel being scraped in the next box this week. I think that this is the female (CR's mum) sitting on the pinnacle with the new moon in the background. Here she is again in a close up photo taken by Dave Pearce. 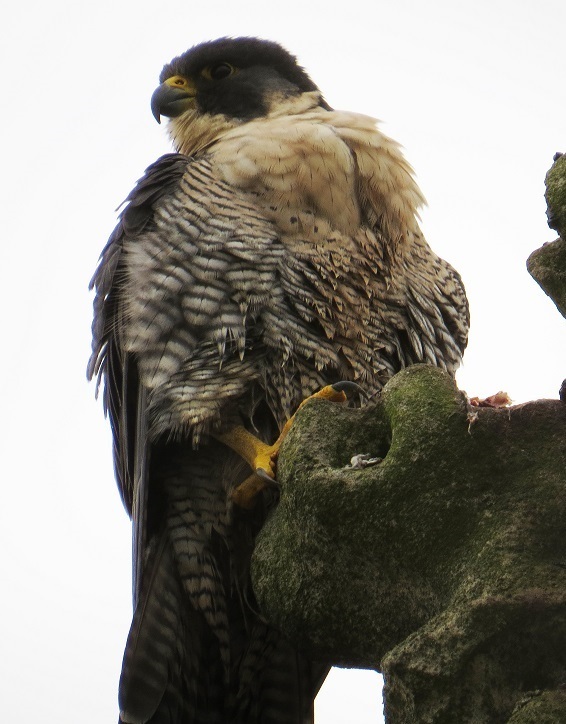 This morning, there was a peregrine sitting in the water chute on the north side of the tower. It had just finished eating and was making itself comfortable! Judging by its size, this is a male, so it is probably Christopher Robin. The new LED floodlights were switched on tonight! 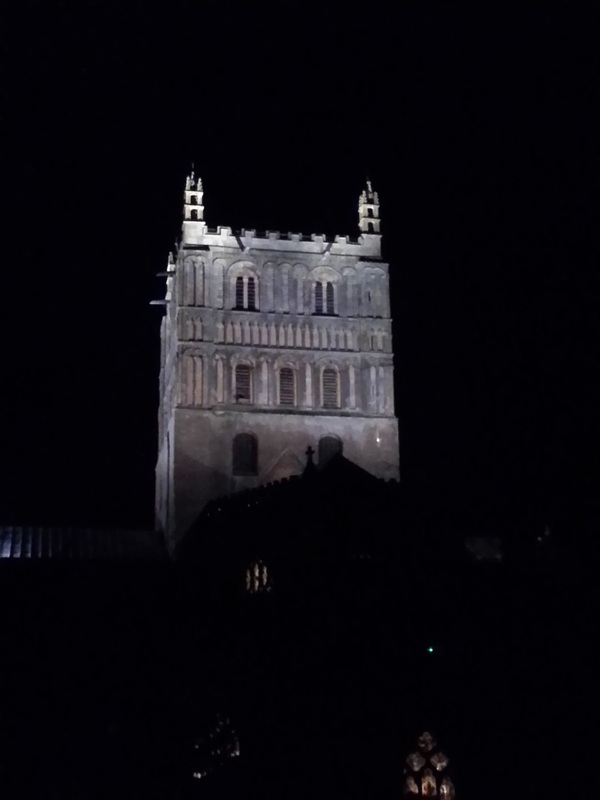 There was one well illuminated bird flying about, eventually coming to rest on the NW corner of the tower. I didn't see any peregrines this weekend at the Abbey. However, there is some activity judging by the feathers scattered around the churchyard, and I also saw a Carrion Crow polishing off some prey remains. The camera on the nesting tray had a good view of this grey wagtail. 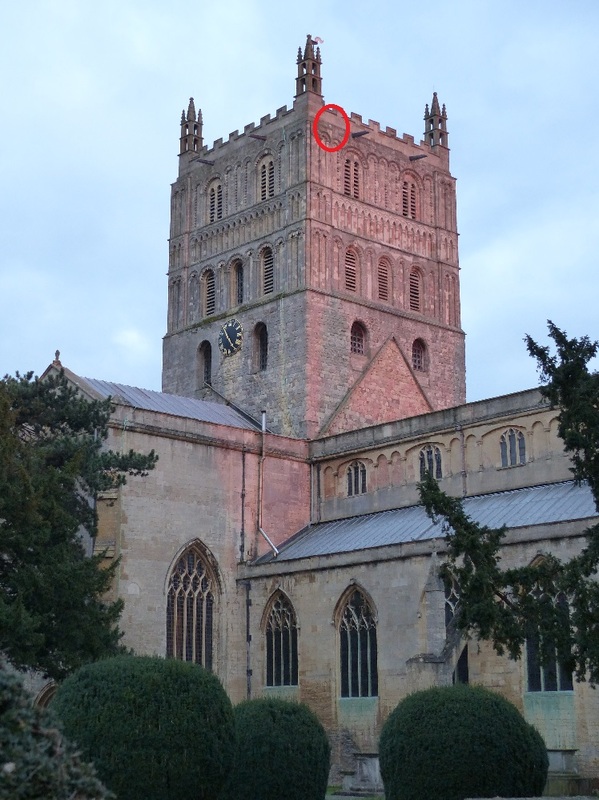 The peregrine on the tower this evening was sitting on a ledge I've not seen used as a perch before. This is on the NW corner of the tower. He (assuming this is CR) was calling every few seconds. Does this mean that he is lonely, or that there is a second bird he is calling to?